Home » OS » Android » Android System WebView – What Does it Do? 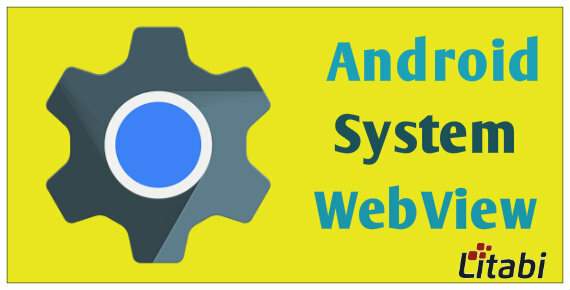 Are you wondering what is Android System Webview and What does it do? If you say “Yes,” then this blog post would help you know its use! As we already know that the Android platform was developed by the Google. Hence whenever we purchase a new Android smartphone, we get quite a lot of pre-installed apps by Google, and one of them is the Android System WebView. Android System WebView system is not just an android app that comes pre-installed on your android smartphone. But is also one of the leading factors when it comes to modern-day Android application development. Also, Android System WebView enhances the user experience and so on. However, before you head into the topic here is a thing you should know. Just in case if you are planning to root your device and uninstall the Android system WebView then you should not. As it will mess up your device. Let’s get into the topic now! Well according to Google “Android System WebView system component powered by Chrome that allows Android apps to display web content.”. In simple words the Android system WebView lets you embed a browser in your android application. It is like you can pull data from a webpage to your application by using the Android WebView system. Or you can say that Android system WebView allows 3rd party apps to show content in an in-app browser. Well if you are a Facebook user who mainly uses the Facebook via the official Facebook app. Also if you have ever clicked on any links from the Facebook app, then you may have noticed that the link opens within the Facebook app itself. It does not come with a popup where you have to select an internet browser to open the link. Well, that is what the Android WebView system is. It is pulling data from that specific link and displaying the results on your Display. Do You Need Android System WebView? Well earlier till the Kitkat 4.4 version the web view app used to load into the browser. But soon Google has encountered with vulnerabilities, and it was getting impossible for them to fix the issue. As the only solution was to reinstall the operating system. But when Google rolled out the Android Lolipop 5.0 Google did not embed the Android WebView System in the operating system. Instead, they have launched a separate application for it. So if they ever notice any vulnerability, it would be easy for them to fix it by just rolling out an update. However, they have also made quite a lot of changes after building a separate app. Like if you are using Android Nougat or Android Oreo version on your smartphone. Then you do not have to think about the Android System WebView. As the Google Chrome is taking care of it. But just in case if you uninstall the Google Chrome browser then you have to use the Android system webView application to pull data from a link. Can I Uninstall Android System WebView? Well by deleting Webview app you may not face many issues. But the third-party apps may not work the way it should. For example, you will not be able to check a web page by staying on your webpage. Some banking apps may not work. Your Smartphone gets affected by malware and face some security issues and so on. So just in case if you are planning to uninstall the app then it is advisable not to unless you are not using Android Nougat or Oreo. But if you are using the latest version of Android, ie the Android Nougat and Android Oreo then you can remove it. As the app is already disabled on your smartphone. Like for example if you are using Android nougat then you may notice the Enable button for the Android System WebView app on the Google Play store. Which only means it will not affect any app feature if you delete the application. However just in case if you are an android developer and thinking why you should use the Android System WebView to build your apps. Then, here are some of the top reasons! Your users will be able to view third-party application within your browser. By embedding the web view app you will be able to hold your users in your app for a quite long time. Your users do not have to switch between apps which will offer them a great user experience. Also, it is quite easy to work with the web view application. Just look for the Google Developers’s android course page, and you will get every information related to the Android System web view development. This Android App often gets updated, and you may download the Android System WebView latest update and make use of its features. I hope that you have understood What is the use of Android System WebView! You should have the Android version 5.0 or up to install this Google App. So in the end, if you are planning to remove the application then it is advisable not to. 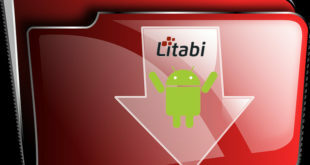 You may uninstall the Android System WebView App only if you are using the latest Android version. Also, note it down that if you mess up your Android operating system then you will not be able to fix it by simply performing the factory reset task. So keep that in mind. Anyway, that was all for your question that says “What Is Android System Webview?” Just in case if you have any questions/thoughts, leave them in the comment section.